The Kerala Homestay scene is growing rapidly, and on our recent journey in Kerala we stayed in several of these converted family houses. Homestays frequently offer more than guesthouses are able to and are a chance to experience the warmth and hospitality of Keralan people, while contributing significantly to local communities and livelihoods. Kerala House in Thekkady, near to the Periyar Tiger Sanctuary was a perfect example. 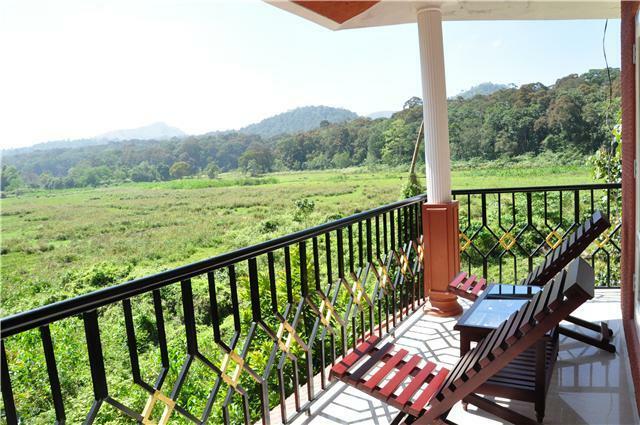 Newly built with large, spotless rooms, Kerala House overlooks the Wildlife Reserve, and is within easy walking distance of the Sanctuary gates. From our balcony, we were able to watch Sambar deer and wild bison grazing. Kerala House is situated on the Thekkady Road, within 5 minutes walk from the Periyar Park entrance. If you are coming from Kumily town, it is on your right just past the Coffee Inn guesthouse. We found Kerala House memorable because of the friendliness of the family that ran the property, its great location and the well maintained cosiness of the rooms. The atmosphere of this homestay was very relaxed, and though Kumily and Periyar must contain hundreds of homstays, hotels and guesthouses, this one felt like an exception. If you have stayed at the Kerala House or another Kerala homestay we would love to hear your opinions on our Blog. 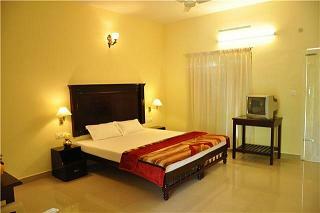 I discovered Kerela Home Stay (KHS) by sheer luck. On our arrival at Thekdi, after a overnight stay at the House Boat our cab operator introduced us to a local agent, who took us to Shibu's KHS. KHS was a small but spacious and econmical lodging, overlooking the Periyar Tiger Reserve, as can be seen from the snaps, which are posted in this site. A quiet place, with only nature to view outside and private cosiness inside. One can ponder about life sitting leisurely on the wooden chair siting on the verandah. The choice of food is optional, in the sense one can place the order with the owner or go to a couple of private hotels nearby. However there are no quality hotels in the main market area, which one should avoid. Food provided by KHS, prepared by Shibu and his wife are delicious, nutritious and have the local flavour and have the human touch, compared to the commercial touch, by local hotels. Shri Shibu, the owner of KHS is a humble down to earth person, with a clear conscience and I instantly developed a bond with him. Somewhere in my heart I decided to come again to this place. A quiet and small place, compared to the busy and sound polluting city of Mumbai. I had also developed a few local contacts (Shri Sahaji Mob no 09447287771) in Alleppy where I took a overnight Boat Stay by his reference and also had a overnight stay at a quality hotel. Overall the local people are quite hospitable goodnatured and peaceful. However one thing I found out that wherever one goes to tourist destinations here in Kerela, one should avoid agents, who keep their cut and increase our budgets, specially when one purchases spices or tea, coffee or any of the tourist facilities. Have you stayed in a Kerala homestay? You can share your find on our Blog . Read about the wildlife sanctuaries in Kerala. Journey down Kerala's coast from the quiet beaches of north Kerala to the popular Kovalam beach resort. Stunning views, tea fields and thundering waterfalls await adventurous travellers in the Western Ghats mountain range. Stay in a floating hotel in the beautiful region of Kerala's backwaters.